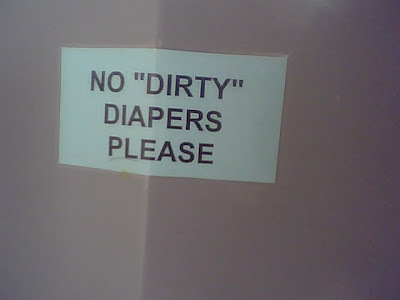 The “Blog” of “Unnecessary” Quotation Marks: what kind of dirt IS ok? So it just has to pass your definition, and then it's fine? "It wasn't 'dirty' to me!" Worst branding idea ever: Juicy diapers? I love this one....and Dave!!!! He is the new "hotness". you better learn to use the toilet quick, jimmy. we're going in for a check-up.